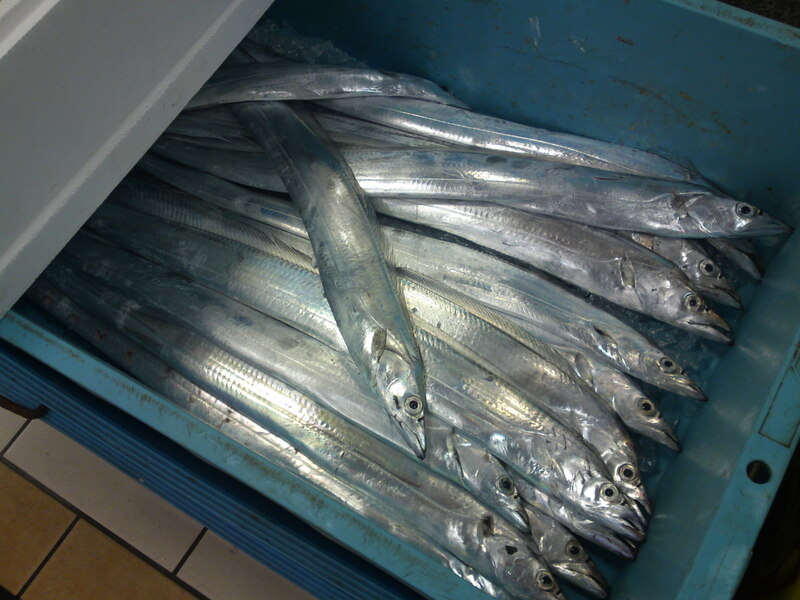 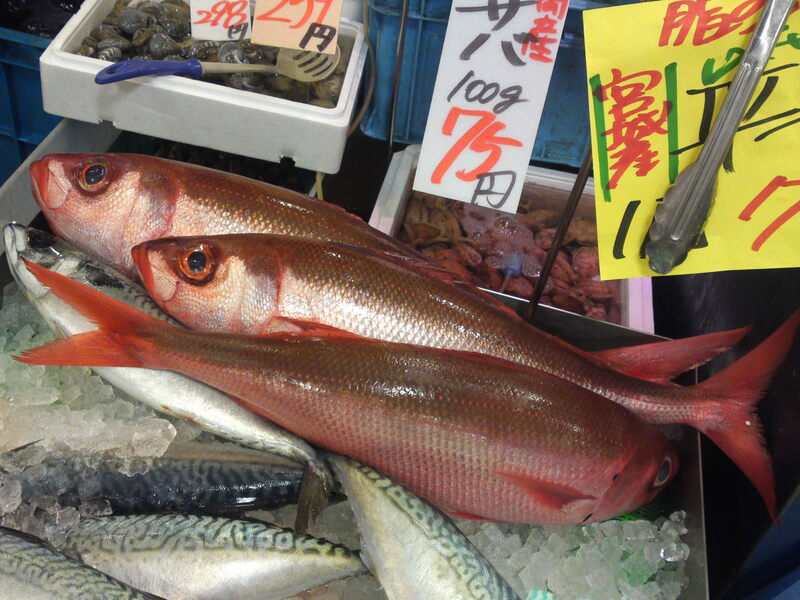 Local Shizuoka Fish & Seafood at Parche Fish Market In Shizuoka City: Including “Red mackerel/Bonnetmouth! 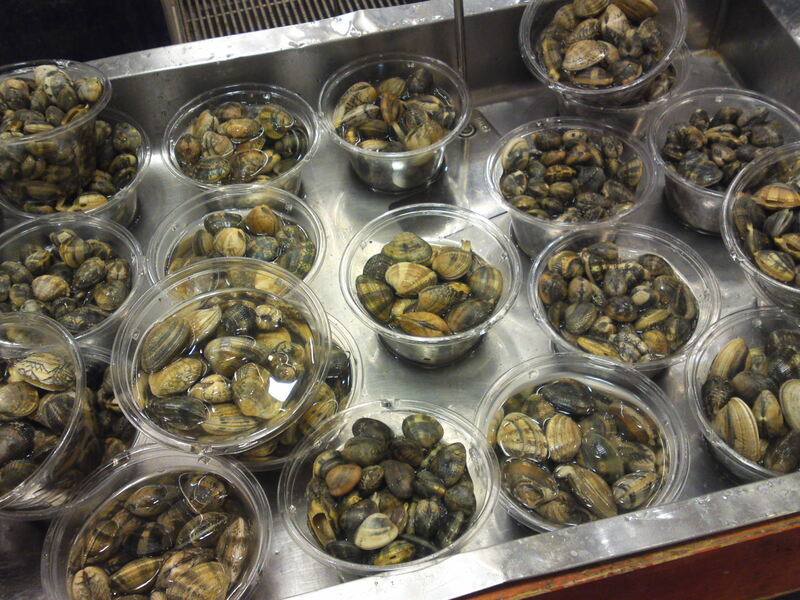 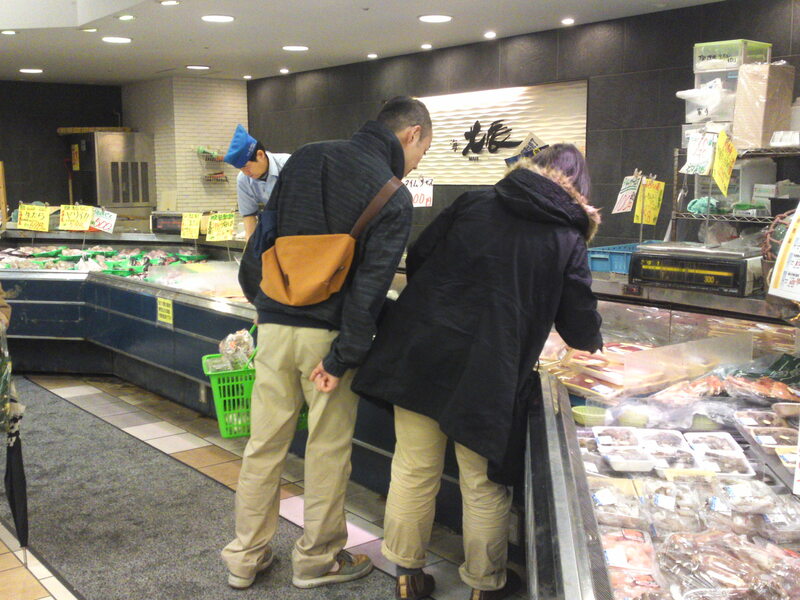 With the coming of winter, the Fish Market at Parche inside the Shizuoka JR Station is always a great place to make new discoveries and and also find more about the fish regularly caught in Shizuoka Prefecture! 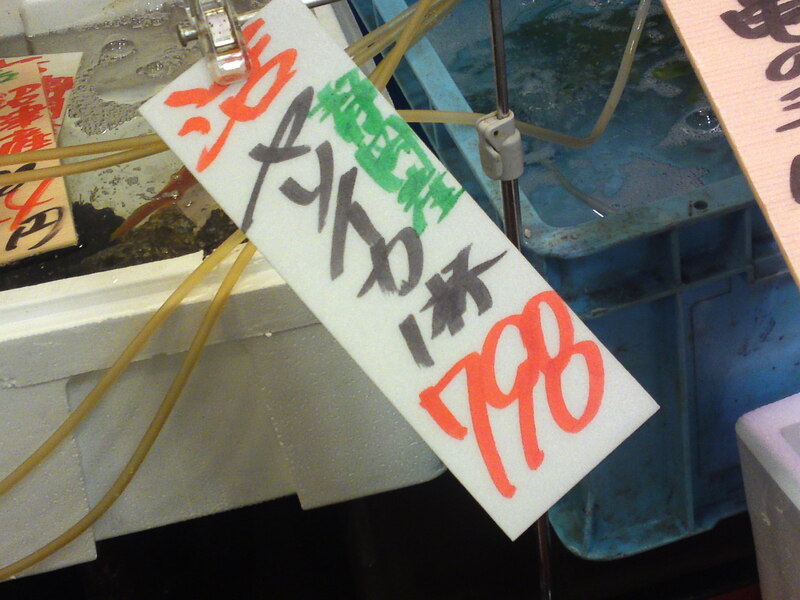 First of all, it is always a good idea to check the “mixed batch of the day”! 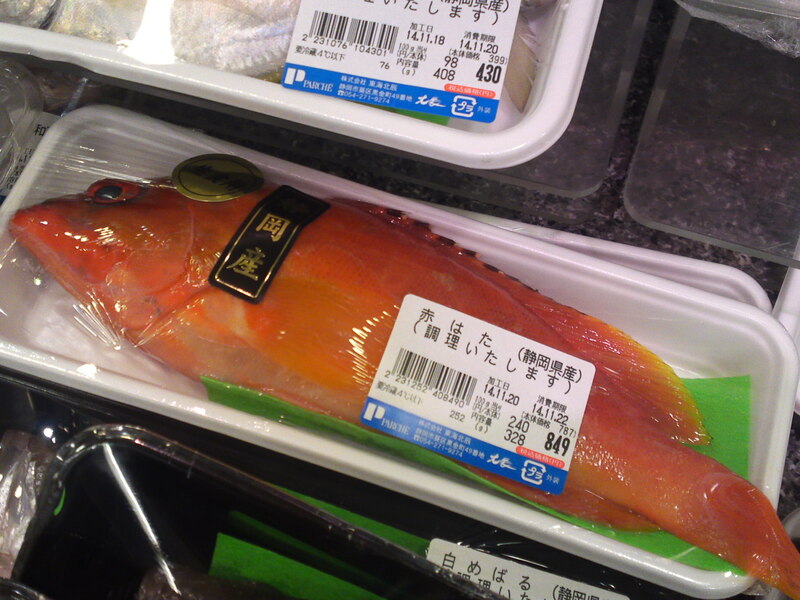 Houbou/方々: red gurnard, red robin. 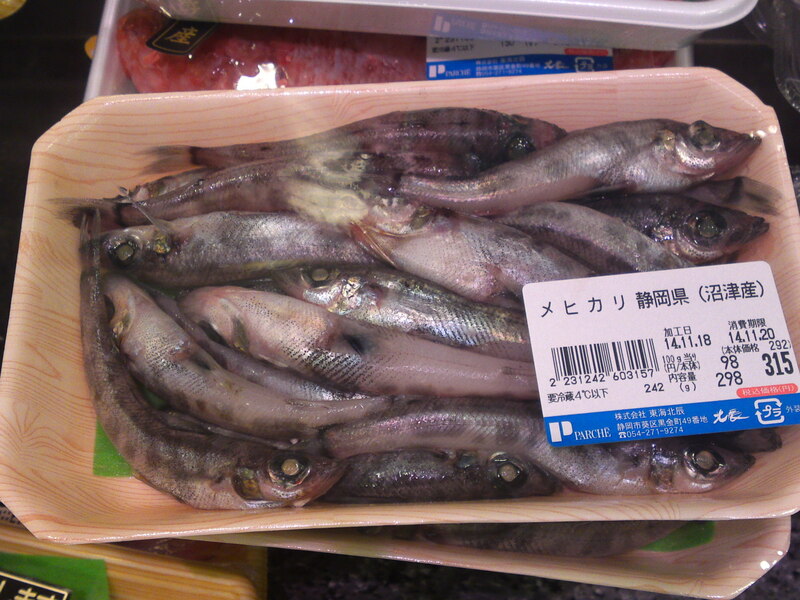 Suzuki/鱸: Japanese seabass, Japanese dace. 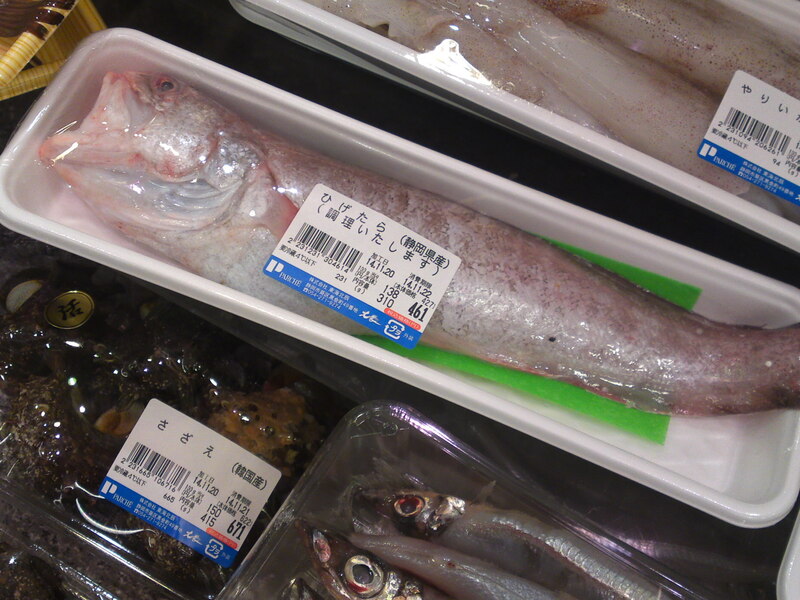 Kasago/笠子、瘡魚: False kelpfish, Marbled rockfish. 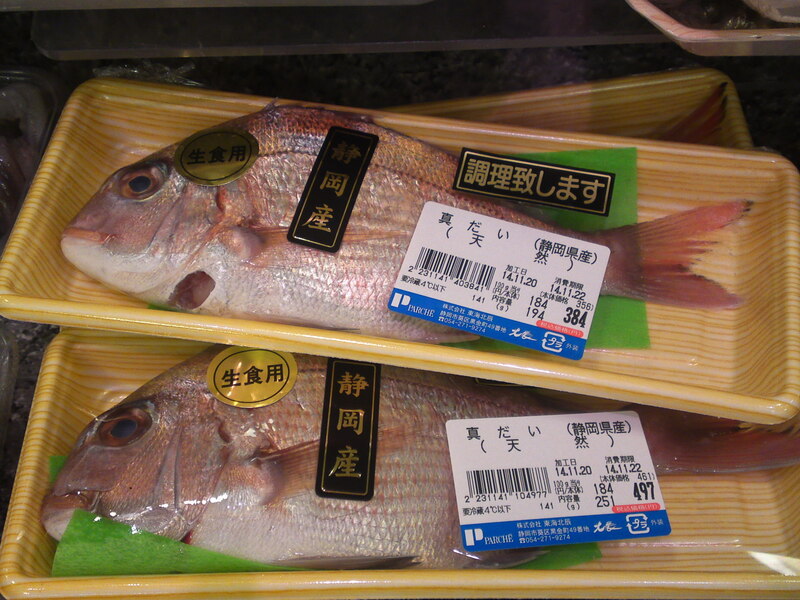 impressive Suzuki/鱸: Japanese seabass, Japanese dace! 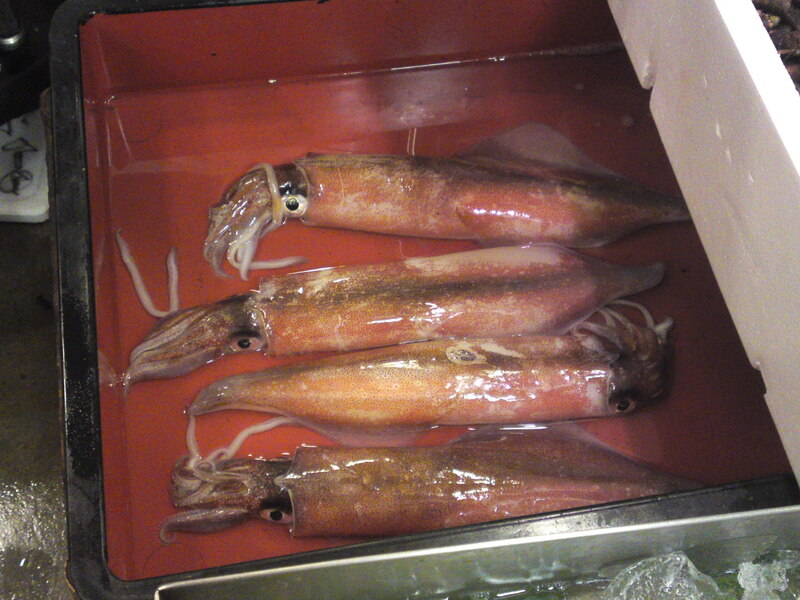 Let’s look around for some unusual species first! 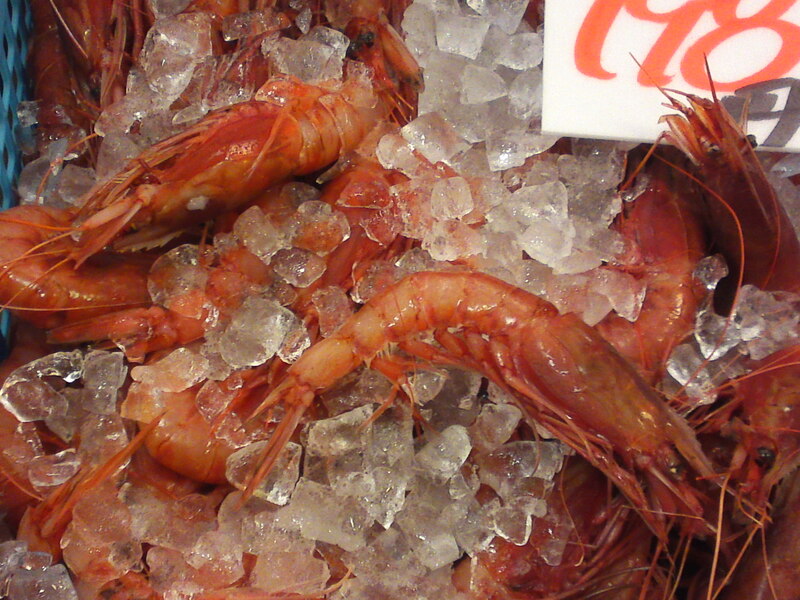 Now, what are those vivid red prawns? 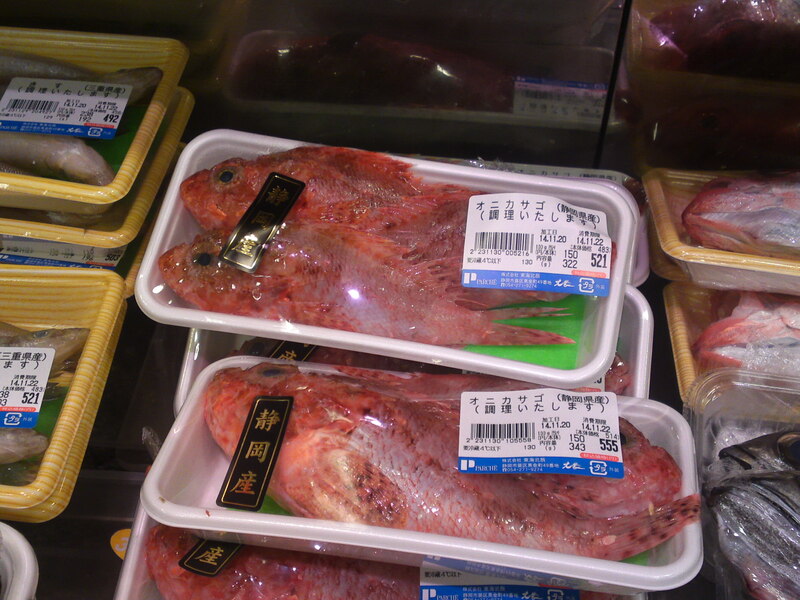 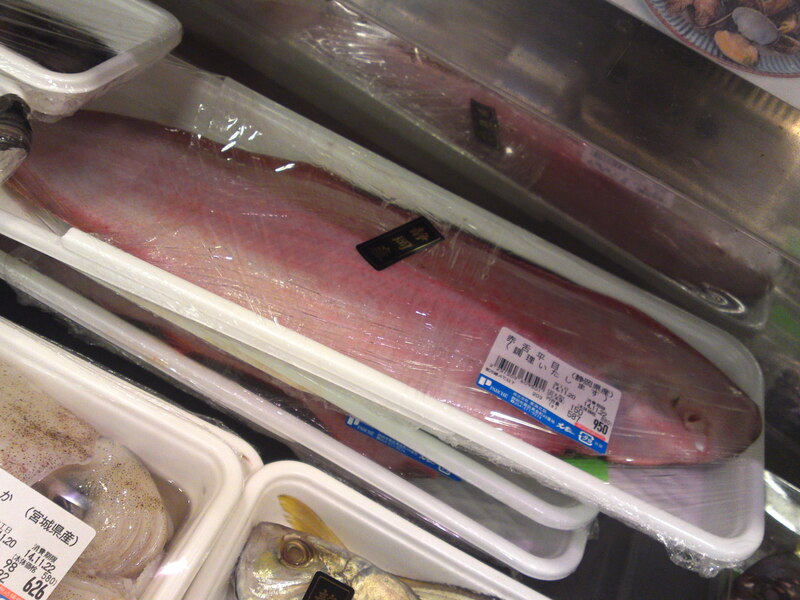 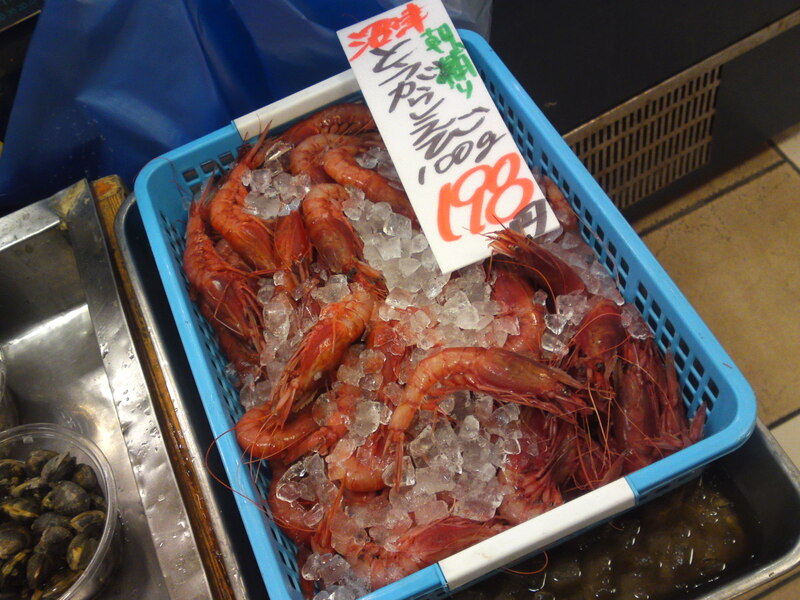 Actually, it is a variety of large prawn/Botan ebi/牡丹海老 found in Suruga Bay! 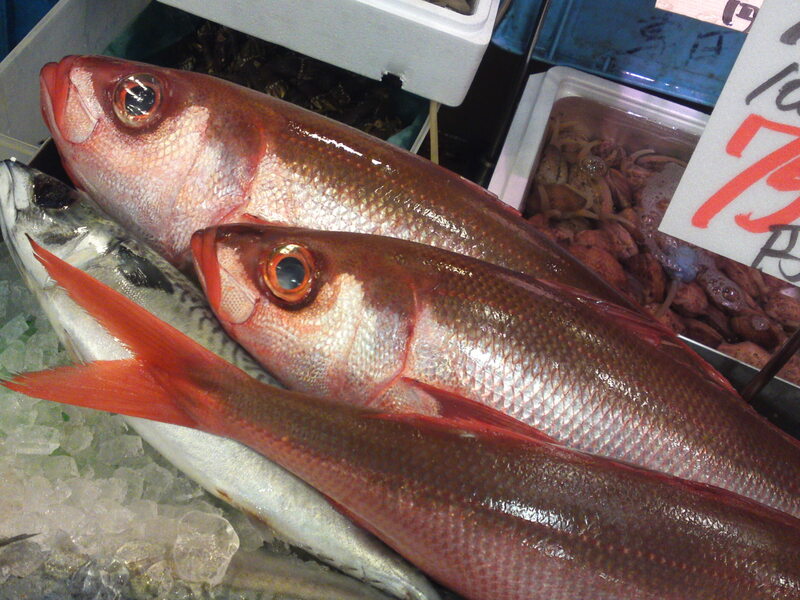 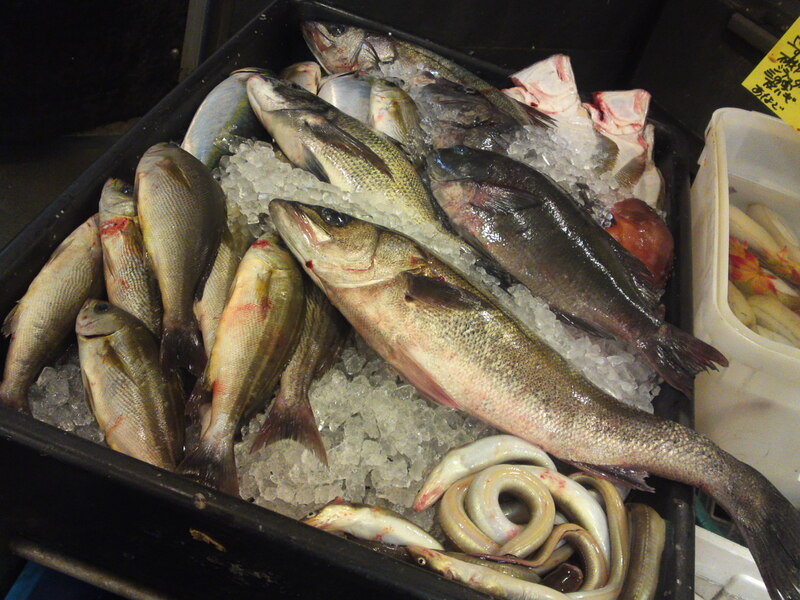 Now, what are those beautiful red fish in the same bucket as mackerels? 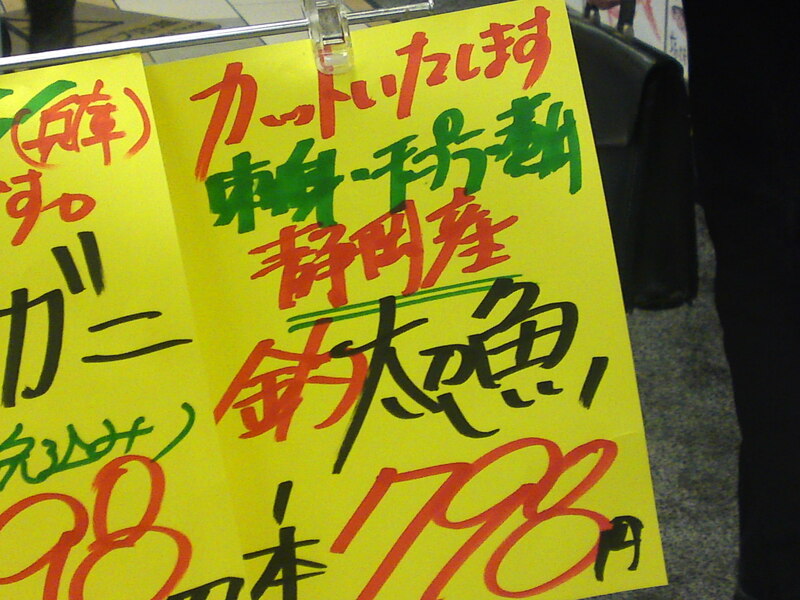 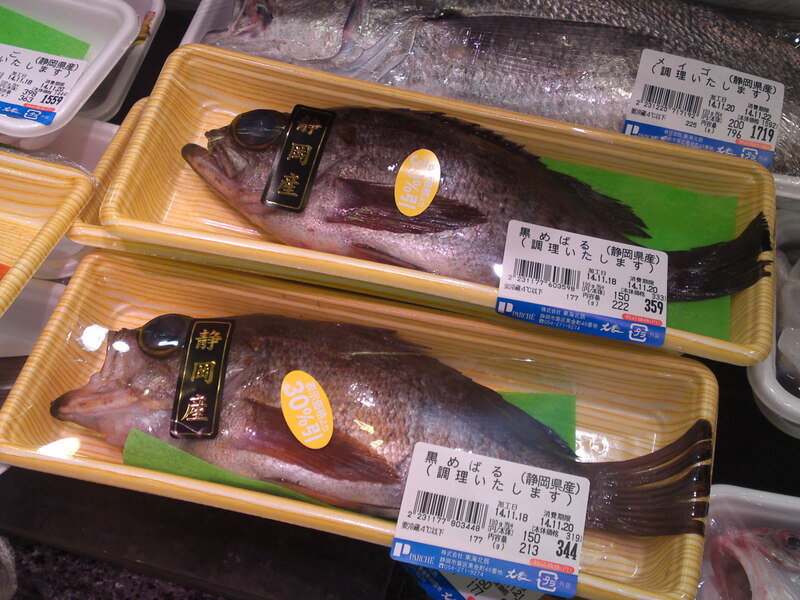 Actually, it is called so only in Suruga Bay and Kanto area. 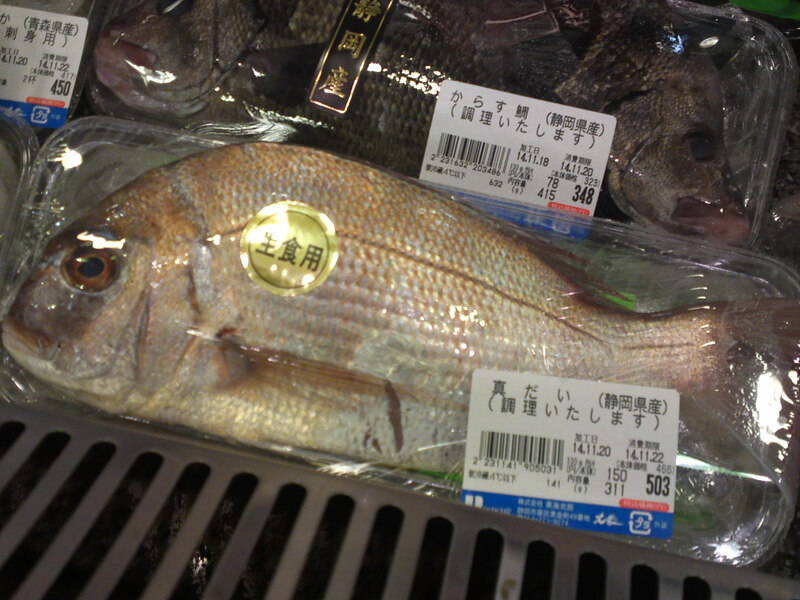 The English name is “Bonnetmouth/Pacific Bonnetmouth”. 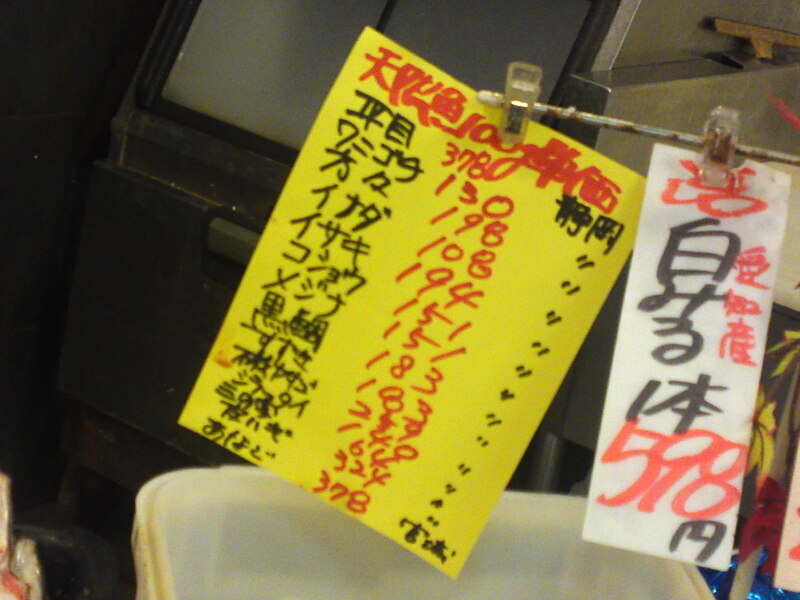 In other areas of japan it is called “Hachibiki/葉血引”! 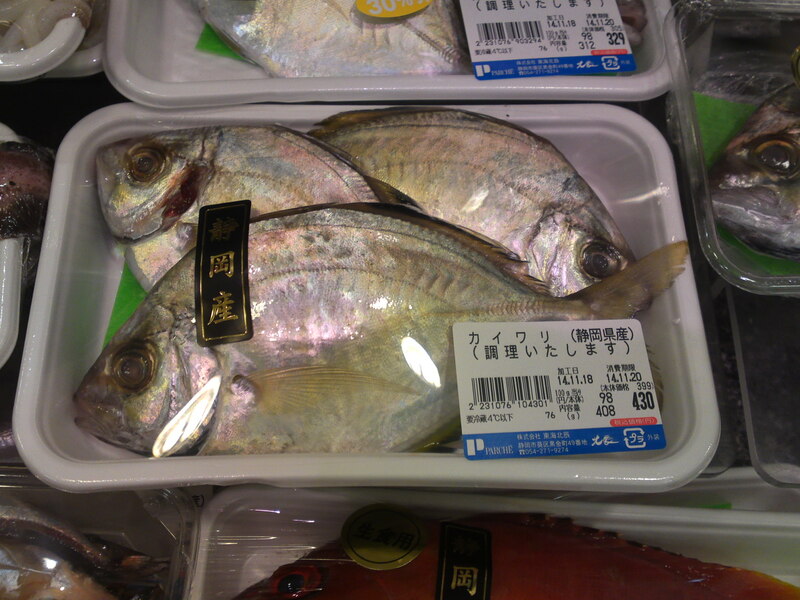 Alright, let’s look at the more common species found in ur Prefecture! 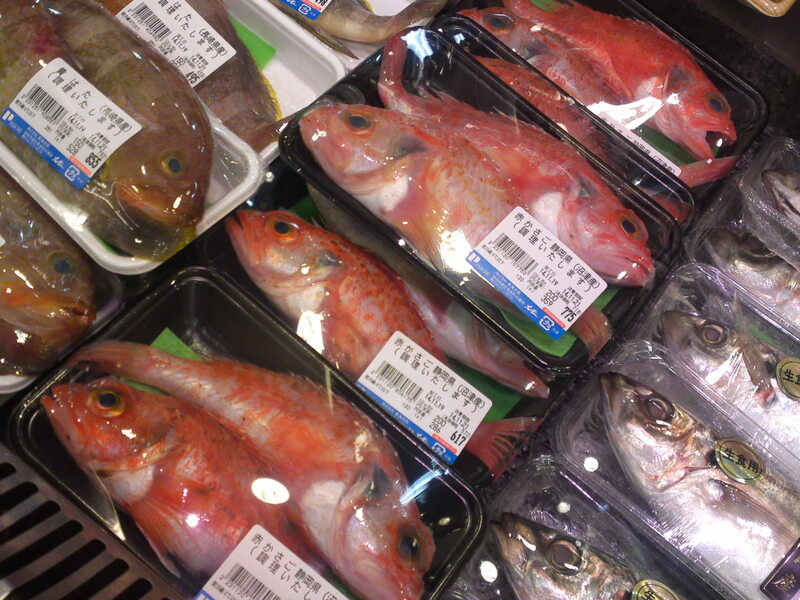 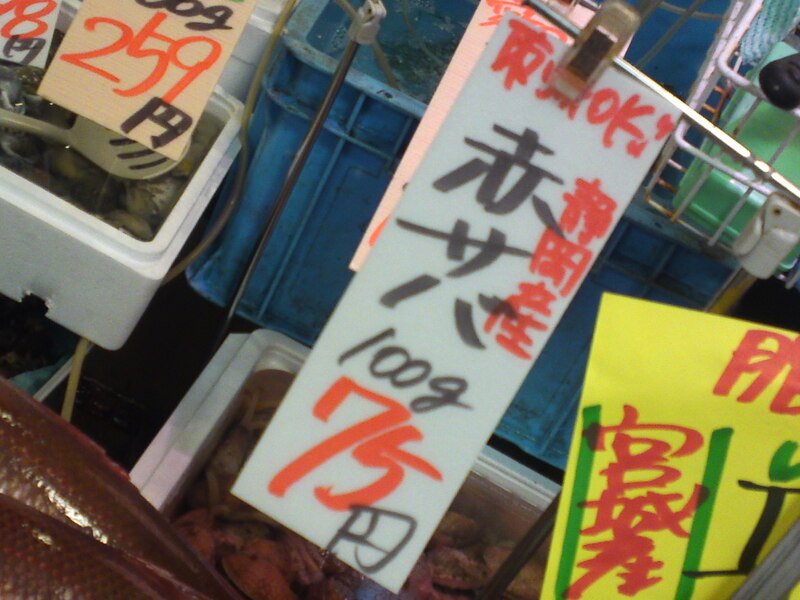 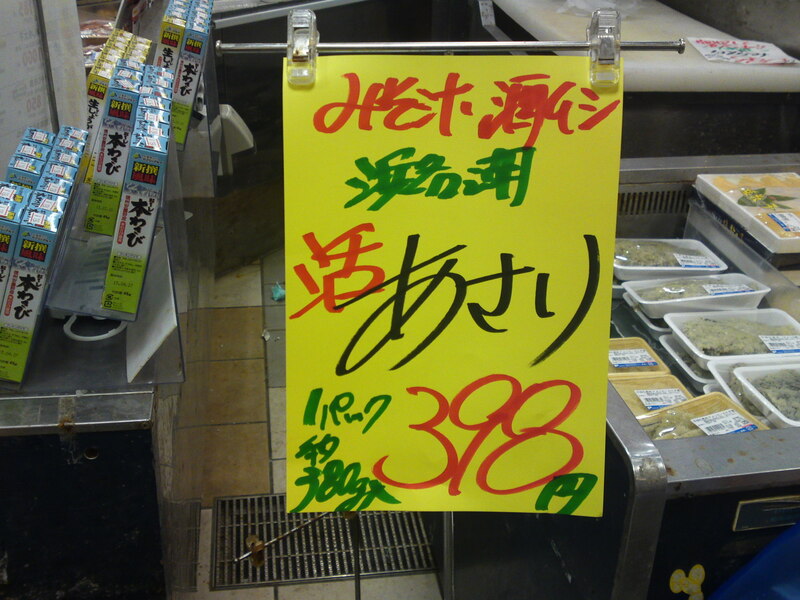 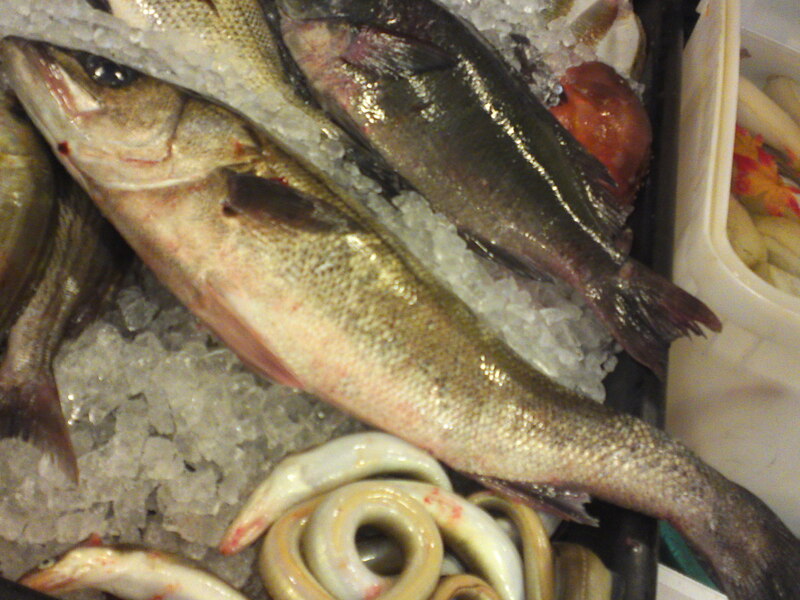 Aka kasago/赤笠子、赤瘡魚: rockfish, marbled rockfish, scorpionfish! 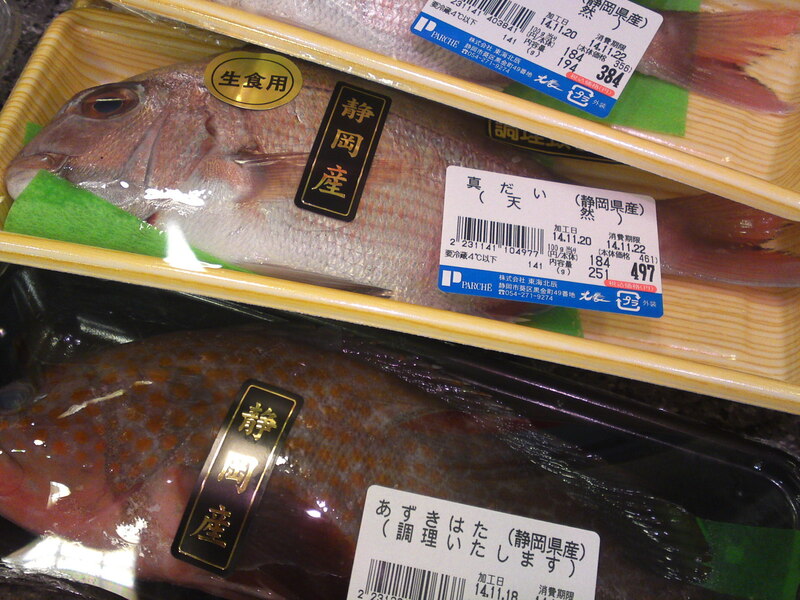 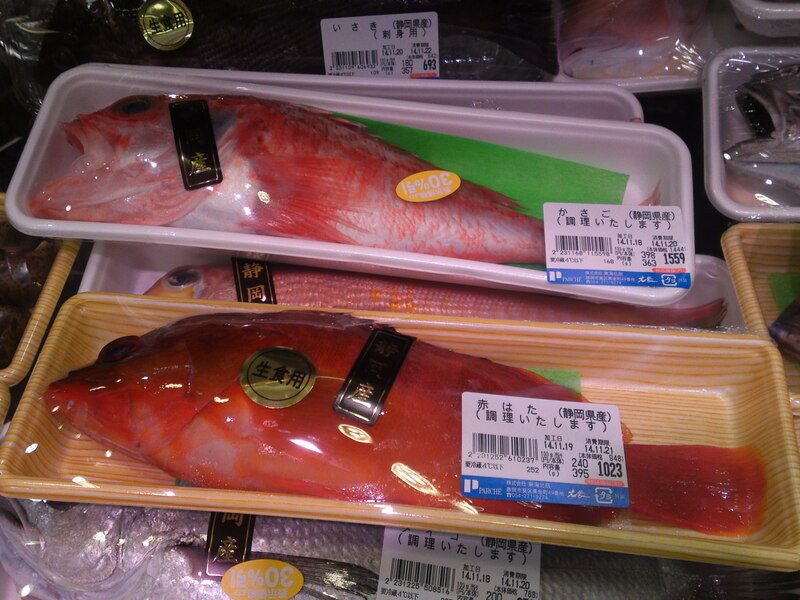 Bottom: Azukihata/小豆羽太, another name for Kijihata/雉羽太(also called Akou/茂魚,石茂魚): redspotted grouper! 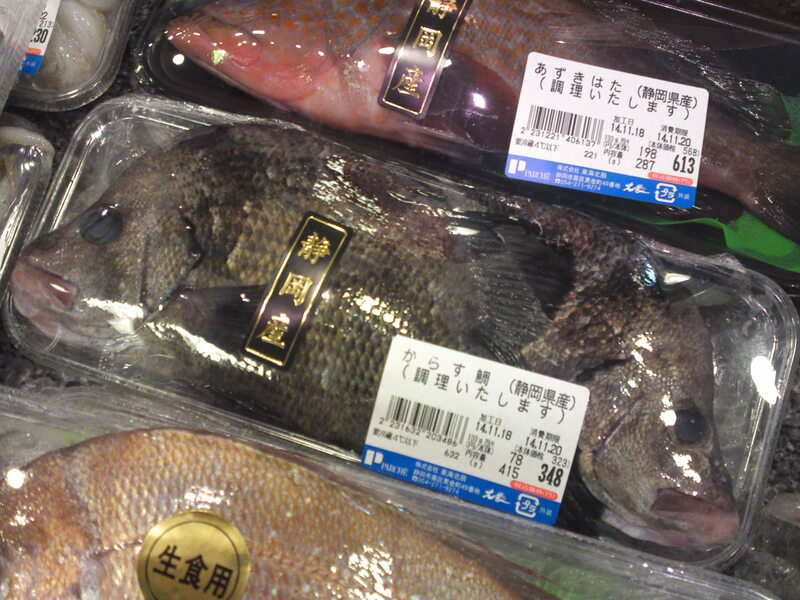 Kuro Mebaru/黒眼張、黒眼張魚、黒鮴/Black Japanese sea perch!